HCM CITY — HCM City authorities are making efforts to ensure foreign visitors extend their stay in the city, and they seem to be paying off. Last year the city received 6.36 million foreign visitors, up 22.8 per cent from the previous year. Importantly, the visitors are staying longer and spending more. A survey of the city’s tourism market found that international visitors spent US$145 a day on average last year, equivalent to the amount they had spent in 2016 in Thailand but well below that of Singapore ($254), Beijing ($242) and Taipei ($208). The corresponding amount for Vietnamese tourists was $69.4. The survey was done by the city’s tourism department and Statistics Bureau. 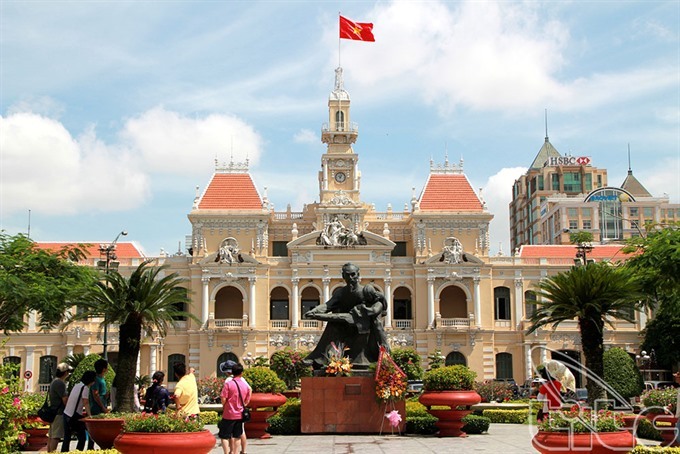 HCM City has plenty to offer travellers, and foreigners stayed for 5.21 days on average last year, while locals stayed for 3.6 days. Some 48 per cent of foreign tourists surveyed said they spent four to seven days in the city, while 40 per cent stayed for eight days. Last year, tourism authorities stepped up efforts to get foreign visitors stay on for longer, including by organising tourism events. Bùi Viện Street, at the heart of the back-packer area, was turned into a pedestrians-only zone on weekend nights and entertainment activities have been organised here.